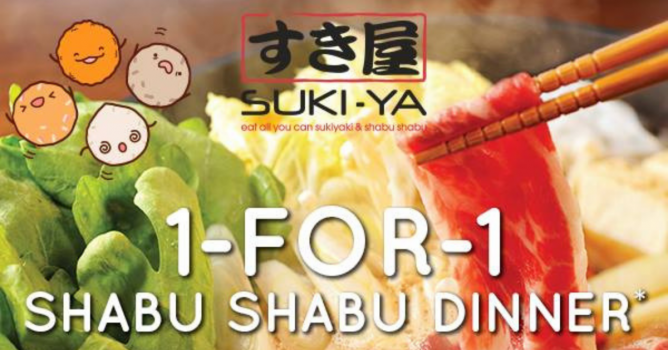 Home > Dining and Gourmet > Buffet > Suki-Ya: Enjoy 1-for-1 Shabu Shabu Dinner at Tampines Mall! 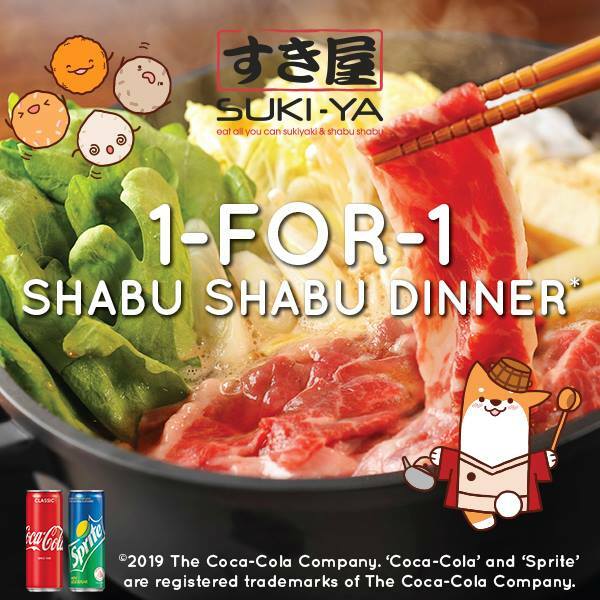 Promotion: Enjoy 1-for-1 Shabu Shabu Dinner at Suki-Ya Tampines Mall! Valid 15 - 21 April 2019, 4pm - 9.30pm. Promotion valid on buffet (60 mins) only. Not valid with any additional top-ups or ala carte drinks (e.g. Beer, Sake, Water).Limited to 2 redemptions (4pax) per bill/table. No splitting of bill/table allowed. 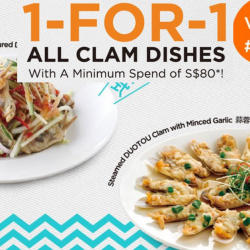 Previous: Putien: Enjoy 1-for-1 All Clam Dishes at VivoCity in April! Next: Starbucks: Get S$3 OFF with Min. Spend of S$6 on Mondays with Standard Chartered Cards!